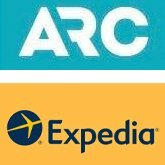 Booking flights three weeks in advance, on the weekend – particularly Sunday – and beginning travel on a Thursday or Friday will deliver the lowest average ticket prices, according to the 2019 Travel Pricing Outlook from Airlines Reporting Corporation (ARC), in collaboration with Expedia Group. The study’s key finding indicates that purchase timing and trip longevity can influence the cost of an air ticket or hotel room. The research also suggests that common beliefs about ticket cost vs. route structure may not be true in all cases and that travelers should consider other factors like travel stress and schedules before booking. The study also found: direct flights are not always more expensive, as many other factors come into play when airlines set fares; extending a midweek trip to include a Saturday night stay can save up to 25 percent on fares, or even more; and it pays to choose carefully when considering purchasing a basic economy airline ticket. While travelers may initially save money on basic economy, adding ancillaries such as advanced seat selection or checked bags can often result in a cost that exceeds an economy fare.